The course will run fortnightly on Mondays from 7.45-9.45pm, 29th April | 6th, 20th & 27th May | 10th & 24th June 2019. The cost is £130 (based on drop in rate of £30 for the first class& £20 thereafter for five classes). Shamanism is an ancient tradition of living in harmony with creation that strives to strike a balance between mind, body and spirit for the overall good of the community and the world around them. Shamans practice techniques that involve trance like states into non-ordinary or altered states of being, or what we call Shamanic State Consciousness (SSC). While in these States of SSC the Shaman experiences deep, insightful meaning and instruction from spirits, animal helpers and guides. Upon return to ordinary reality the Shaman then empowers, heals and restores the balance required for well being to them and the members of their community. Brian Cunning has been working in Shamanic techniques for over 22 years. He has facilitated group meditation classes and is an accomplished Tarot Reader. He specialises in Celtic Shamanism, and Shamanic Spirit Craft tool making. 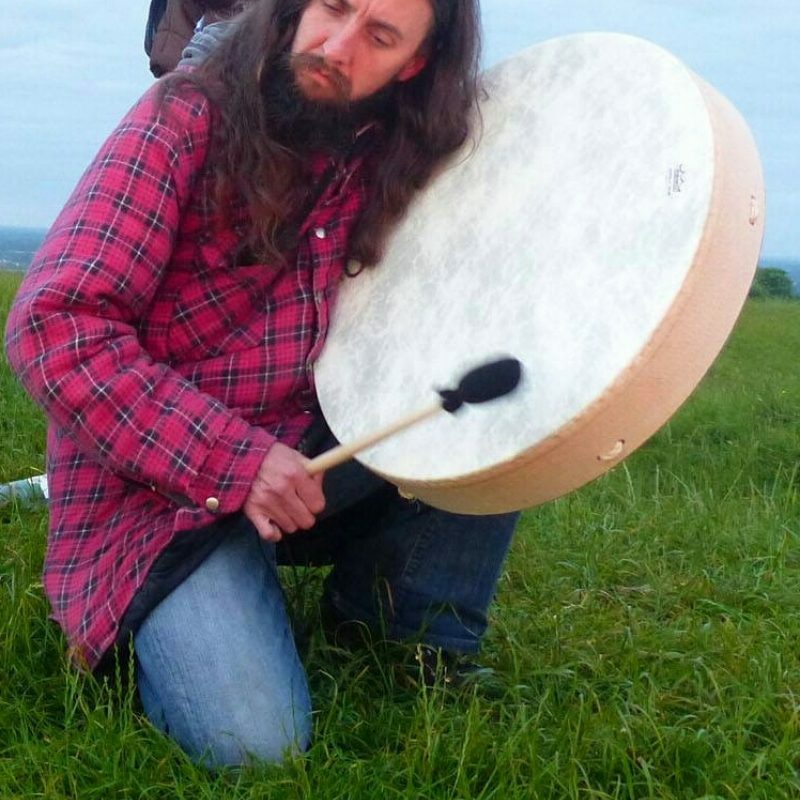 He is a qualified Shamanic Practitioner & Shamanic Counsellor accredited by the Irish Centre for Shamanic Studies. Brian is also a qualified and practising Artist and performer with a BA (Hons) in Fine and Applied Arts. To book your place on either course or for more information please email Brian at: ravenspiritshamanism@gmail.com or go to his Facebook page. Brian offers 1:1 Shamanic consultations in the Lily Room at Maitri Studio at £35 for an hour's session or £50 for two to be paid by PayPal. Longer sessions are available. An initial consultation is £15.